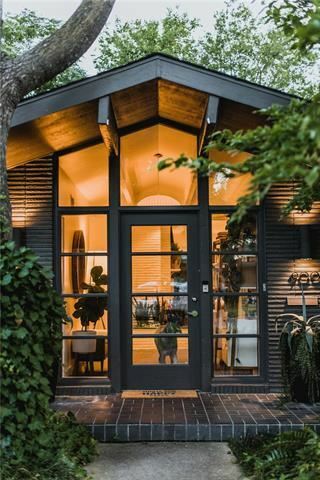 North Oak Cliff is where you’ll find great homes, mature trees, and fantastic views that would cost thousands more elsewhere in Dallas. Take this charming midcentury ranch in the West Kessler neighborhood of Stevens Woods. Not only does this high caliber home back up to the recently redone Stevens Park Golf Course, but it also has a gorgeous pool and updates throughout. 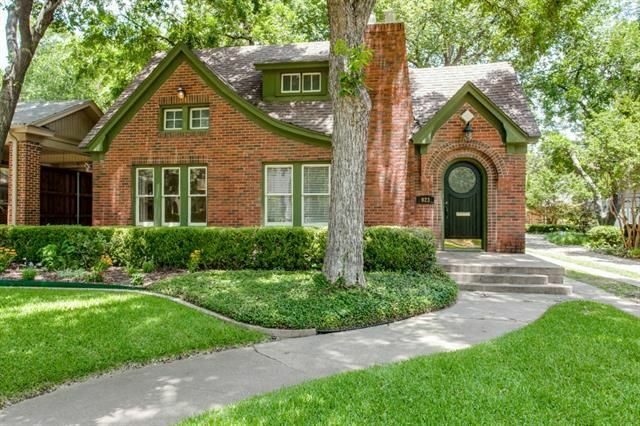 It’s so well preserved and in a truly beautiful neighborhood, and it just hit the market! 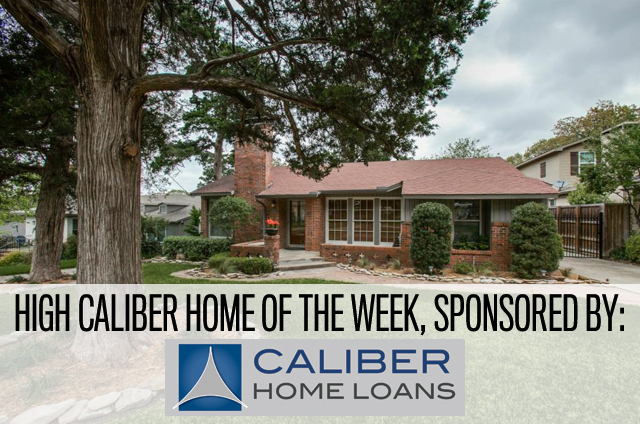 Don’t take your chances with financing on a home like this, and contact Lisa Peters of Caliber Home Loans to get pre-approval so you can put in a winning bid on this beauty. Deals like this don’t last long in our market, so contact Lisa for your financing needs today. Jump to find out more about this lovely home! This home is absolutely super model stunning, from the landscaped and lush curb to the amazing backyard. 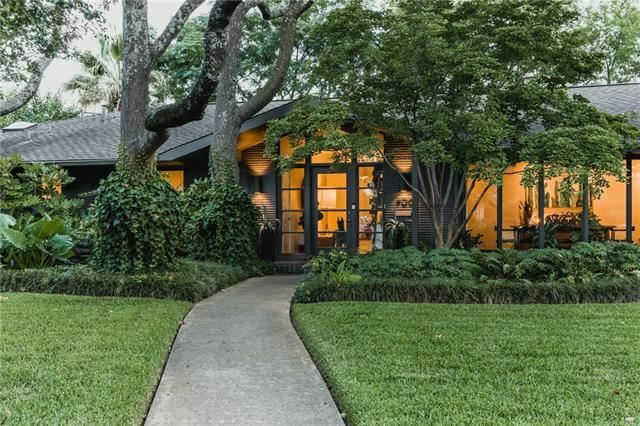 This is a home that typifies an architectural style from the inside out. 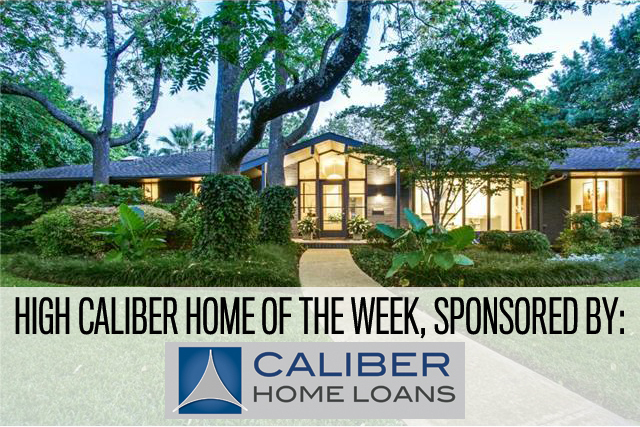 Truly, this gorgeous midcentury modern in West Kessler from Kathy Hewitt is a show stopper and definitely worthy of being this week’s High Caliber Home of the Week sponsored by Caliber Home Loans. There are so many people looking for a move in-ready home inside 635, and thanks to a shortage in available inventory, prices are going through the roof. But some economists still warn of “shadow inventory” that could make a mess of residential housing markets as investors bring properties to the market in a blitz of ready-to-sell homes. That could have dire effects on prices and demand. 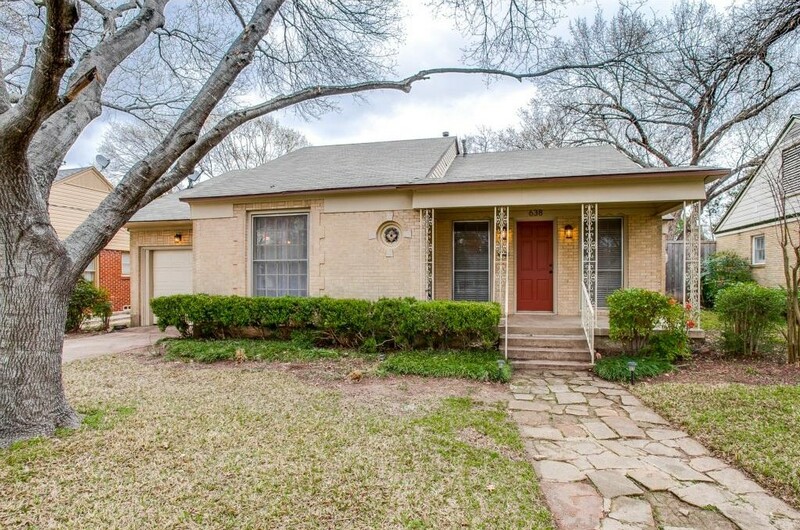 But on a more local note, let’s talk about the high demand for homes in Oak Cliff. Two years ago, you’d be crazy to price a two-bedroom, two-bath Tudor in West Kessler for $325,000. It would sit on the market for month after month with no bites at all. But now, with our market and inventory as it is, it’s not a reach to see a Tudor like 614 Tenna Loma Court on the market at $325K. Truly, Dave Perry-Miller Realtor Mike Bates knows the price is right. This house is already so cute. I usually hate it when people say this, but it really does have great bones. Marketed by Mike Bates, 610 Tenna Loma Court in West Kessler Heights has been expertly maintained and is ready for some color. 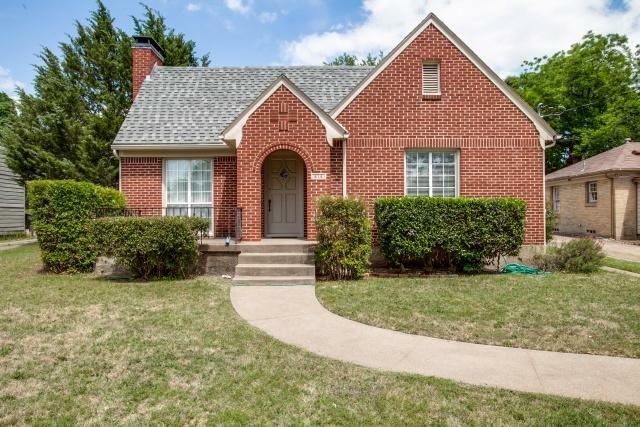 There are three bedrooms, two baths, and just over 1,800 square feet in this home. You’re within a hop, skip, and jump from Stevens Park Golf Course, and the Bishop Arts District is just a short bike ride away. It’s on the market for a recently reduced $237,500. When I first saw the interiors of this house, I loved how the living and dining areas had been opened up. It is so refreshing to see so much open space in a home built in 1940. 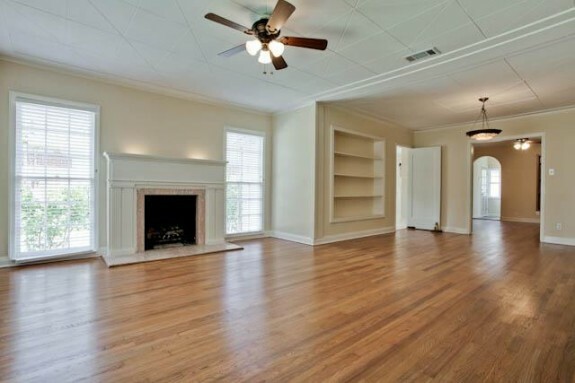 The fireplace is gorgeous, and there are tons of great built-ins. Truly, this home is perfect for the book collector. I love the French doors that separate the living and dining areas. It’s perfect to create some intimacy in a space. 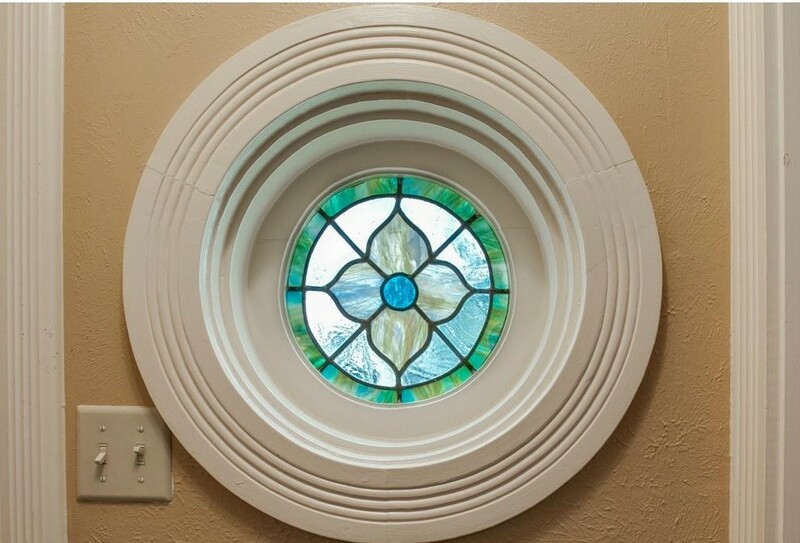 While the floors, which were recently refinished, sparkle like new, there are tons of great period features such as arched doorways. Now, I’ve seen lots of kitchens like this one in North Oak Cliff. A new granite countertop has been added, but you’ve still got the same awkward layout that would only make sense if you had a gigantic, antiquated gas range and an actual ice box. This kitchen would definitely benefit from a full-on gutting, and you’ll have put your mark on it to boot! 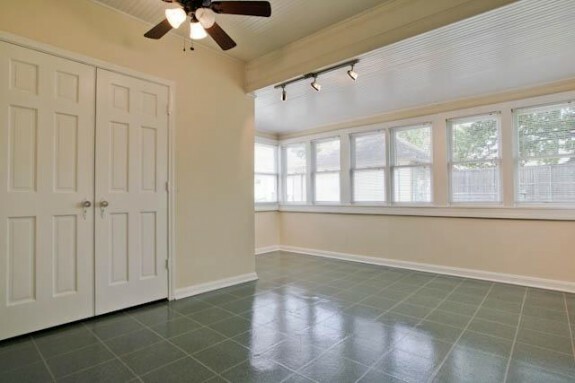 There’s a great sunroom attached to the kitchen, with plenty of light. 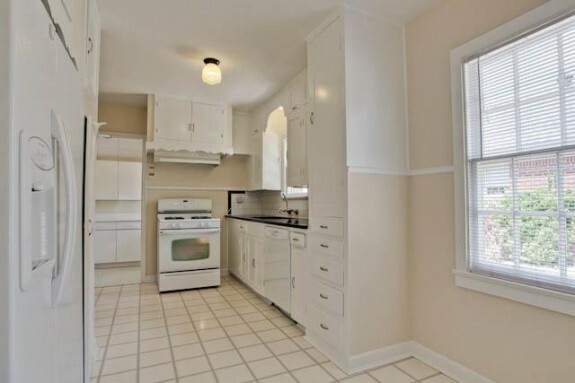 Of course, you can deal with the linoleum floors later, probably after you redo the kitchen, right? 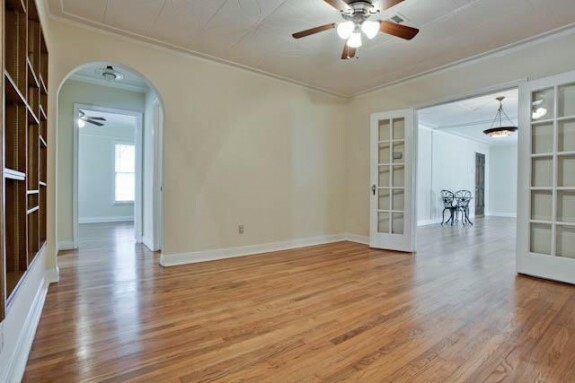 The best part about this house isn’t in the photos or the listing information, though. It’s the neighborhood. This area has banded together in recent years to improve quality of life. That’s thanks in large part to great leadership and fantastic residents. 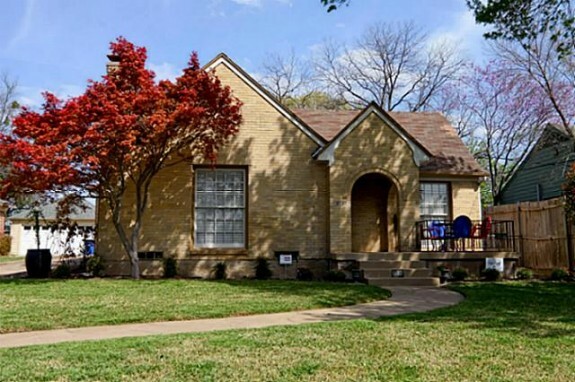 What do you like about this North Oak Cliff traditional?